Inoculation stick is a simple tool for inoculation. It has 45 years of historical background. Stainless steel contributes for long-life use. Both methods (styrofoam/wax) can be used with this stick. 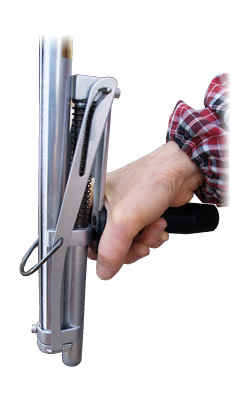 Hand inoculator is designed to inoculate and cover at once while the previous inoculation stick was only capable to insert the spawn and needed to cover it separately. The simultaneous action reduces the workload. Semi-auto air-powered model was released in 1989. It is capable of inoculating and covering with one button. The gun part has hoses attached to the main case. The video is Styrofoam cap model. Beeswax model video here. Full-auto air-powered model was released in 1993. 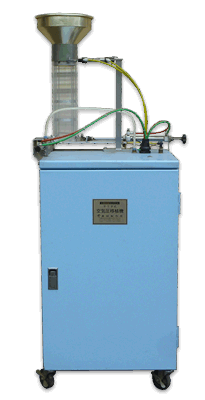 It has the capability of drilling in addition to the semi-auto model. Also, it has the device to reduce workload which makes the work much more efficient. 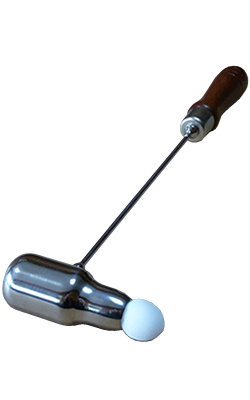 Beeswax applicator is designed to seal with wax much more efficiently instead of using brush. Stainless steel keeps the heat for longer operation with wax. One load can seal up to 40 holes. 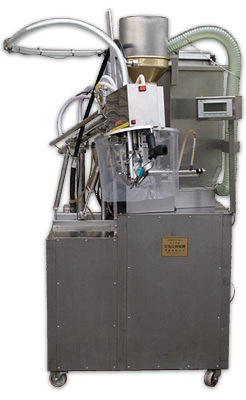 Speed up operation and reduce wax consumption. Ave. shooting speed Up to loading speed 60-70/min. approx. 55/min. Copyright © 2012 Okuda Seisakusho. All Rights Reserved.